Maps Marker Pro makes it easy to you to pinpoint locations and routes on maps from sources like OpenStreetMap, Google Maps, Google Earth, Bing Maps or custom maps. A 30-day free trial is available, or you can purchase it for between €15 and €149, depending on the amount sites you want to use it on, the amount of support you want and the usual sorts of things. I’m not sure if I’m getting this wrong, but I’m sure GoogleMaps give you this service for free? Maybe not one quite as fancy as this, actually. This one boasts over 800 custom icons which you can paste on your map, and also gives you a choice of the default zoom level and descriptions, text and images for each marker. This seems like a slightly enhanced version of the service provided by GoogleMaps, but it is one you can also use with other maps if you prefer. These other maps include ones from Bing, OpenStreetMap, Mapquest, GoogleMaps, Open Cycle Map, Transport Map and, my favourite – the beautiful but ultimately useless Stamen Watercolour map, which makes maps look like they have been lovingly painted in pastel blue and bright orange. The downside of it is that it doesn’t have any street names. I did, however, proudly find my little road in North London on it, even after I’d zoomed right out of the UK. It seems people have nothing but nice things to say about Maps Marker Pro. The customer reviews are glowing reports about the awesome features, simplicity and professional touch it gives a WordPress site. Apparently the standard Google Maps one isn’t quite enough and these people need more things. Maybe I’d understand if I was to grapple with maps more often, but I’m afraid I just love looking at them, not embedding them. Maps Marker Pro Review – It’s always a good sign when a company provides a whole load of documents to whoever wants them and doesn’t make people log in as high-paying members to see it. There is a lot of support documentation here, an FAQ and a news page. Developers who give care and attention to their customers are my favorites, because a keen ear to the customers shows that the software is going to be high quality. It’s hard to make rubbish software if you’re being responsive to the users and hearing what they have to tell you about it. It’s a shame there isn’t a forum on this site, like there was on EnviraGallery – forums are a great source of knowledge for the developers and the customers, because it can easily be told whether something is wrong with the software, or pinpointed where you might run into problems. If you are going to purchase Maps Marker Pro, Don’t forget to use the Maps Marker Pro coupon codes. 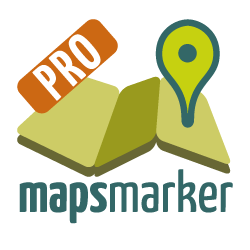 Here we share you an Maps Maker Pro coupon code for saving 10% off your purchase. Just lick to copy the MapsMaker coupon code on the file below and use it during check out process. You can also get the MapsMarker Coupon Codes daily update by clicking HERE..!